I was totally overwhelmed by the amount of entries that kept coming in during the month of March - in the end there were over 600 entries - a fantastic response. Your participation is getting better and better! I dare not expect as many entries during April, but I am hopeful! I love seeing the way that you are all using your patterned papers. 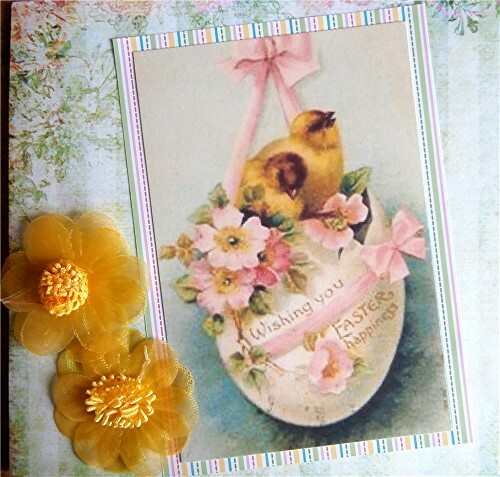 I feel honoured that you have chosen to share your crafting on this little blog - thank you so much. It really does seem that I'm not the only one who has stacks of patterned paper that I need to use. Please come back and join me again in April. Congratulations, NanaConnie! 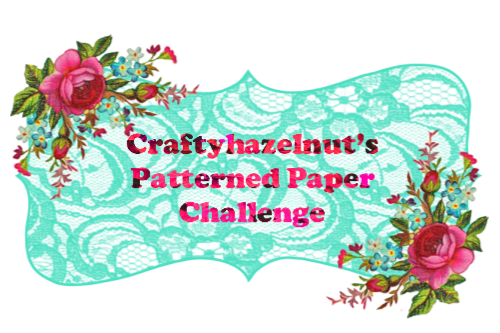 Please email me at hazelharris@ntlworld.com with your full name and address so that I can post your pack of patterned papers. Update: You can leave a small border around your paper when you adhere it to the card blank if you wish, but only a small border! 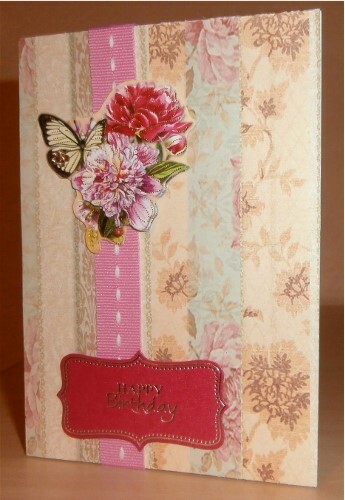 And your creation doesn't have to be a card, it can be any project as long as it is covered with patterned paper. You can scroll down to see the winner for the February challenge or click on the link here. It's worth checking because it might be you! Before I get on to the March challenge, I can only repeat what I said in the winner's post below, because I have been so taken aback by the success of this venture so far. I hope you will join in again for the March challenge and that the news will spread even further so that others come and join us too. 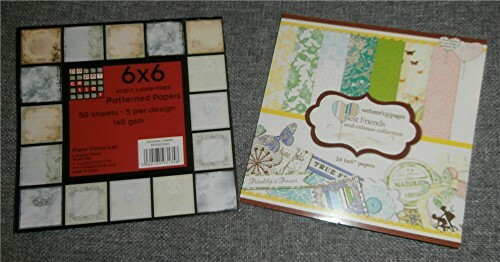 This is the prize for March, which will be given to the randomly chosen winner - this time it is two packs of 6" x 6" papers - Paper Cellar Victorian Classic pack of 50 sheets and also Webster's pages Best Friends collection of 24 papers. 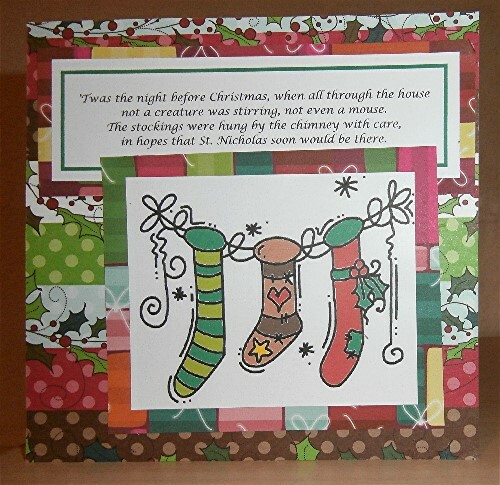 Updating with another card that you can see here on My Crafty Outlook, using Raspberry Road paper. 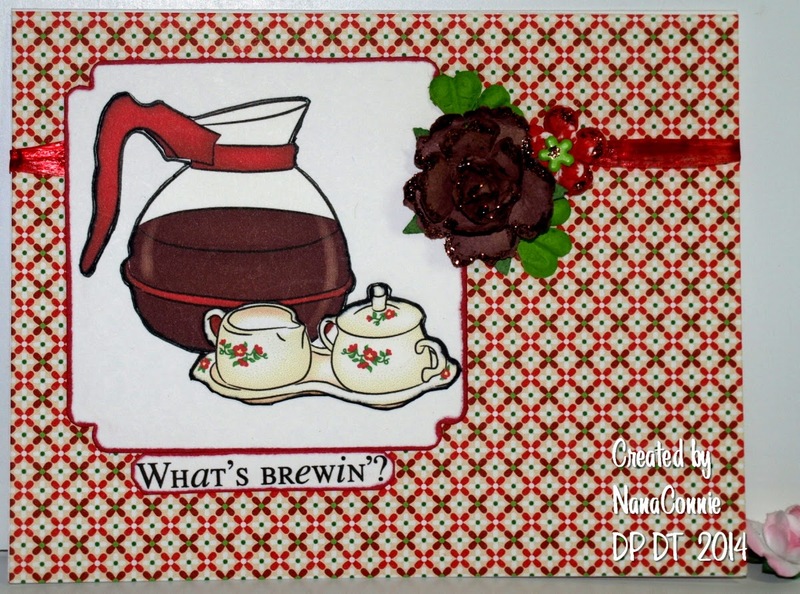 This was made featuring a Gecko Galz digital image as a design card for the Cheerful Stamp Pad challenge: anything goes (this will still be open for the next six days, so it would be good if you could join in). Please become a follower of this blog - we now have over 100 followers - and also advertise it on your own blog so that others see it and join in - you may use the logo from the sidebar. Thank you to all of you who have already become followers and have spread the news of this blog - please keep doing so. March's challenge will end at 20:00 UK time 31 March. 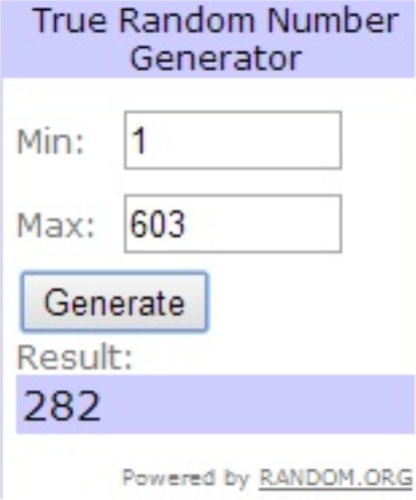 The randomly chosen winner will be announced at 23:00 UK time on 31 March and a new challenge will start at midnight on 1 April.